The transmission is the second most expensive piece of technology in your entire car, second only to the motor. Most car owners don’t know nearly enough about their transmissions, or how to care for this crucial and very expensive piece of equipment. Without proper care and regular maintenance, your transmission could fail after only 30,000 miles of use. But, if you take good care of your transmission you could get up to 100,00 miles out of it. While that doesn’t seem like much, 100,000 miles is about 7 years of use if you drive about 15,000 miles per year. Considering that most cars on the road these days are 11 years old or older, you need to take good care of your transmission! Use the following 5 tips, and you will have no problem making your car’s transmission last longer. While fluid may seem unimportant, it is actually the stuff that cools and lubricates your transmission, operates the clutch, and basically keeps your car moving. There are very few things more important than your transmission fluid. Most transmissions have a dipstick made for checking the fluid level so you can do it yourself, or you can have a professional check it for you. Your transmission’s components, like the fluid, can simply wear out over time. 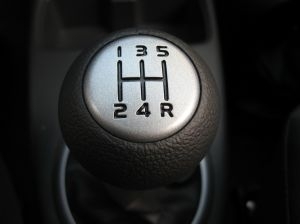 The best way to keep your transmission running is to have a professional regularly check it for normal wear and tear. Get a complete filter and fluid change at least once a year, as well. Friction is what really kills your transmission, no matter how often you check your fluid. You can, however, add a friction modifier to your transmission fluid to make the fluid last longer and perform better. However, you should only buy such additives at a professional transmission center to be sure you get the right one. If your transmission gets overheated, it can mean the end of that transmission. Heat causes the clutches to burn, fluid to break down, and the seals to harden, all destroying your transmission. A great way to avoid too much heat is to have a professional install an auxiliary cooling system. Such a system is especially helpful for cars that carry heavy loads or climb steep roads. Your engine and your transmission are very much in tune with each other. If your engine is running poorly or malfunctioning, it will put extra stress on your transmission. Have your engine regularly checked and you will avoid unnecessary transmission problems. If you follow the above 5 tips on transmission maintenance, your transmission will last for years and years, saving you money and time. You can also apply the above tips to a used transmission. Find a business that has used transmissions for sale, and save even more money on this crucial and expensive piece of technology.